1.Easy payment, inspection and customs clearance arrangements to save your purchasing costs. 2.Very competitive pricing due to our high-volume & high frequency producing and purchasing. 3.Due to our talented and experienced R&D team - we will always be at the forefront in latest trends and proven technologies. Our customers can benefit from our new products and new ideas giving you a competitive advantage over your rivals. 2.Our products are direct from factory, there is no middle man, no high markup, so we can provide quality items yet very competitive price. 3.If you have any questions please contact us by email or Trade Manager, most emails are responded with in 12 business hours. R: We are a factory located in Shenzhen China. Welcome to visit us! 2.What’s the MOQ of your products? Do you supply free samples? R: The regular MOQ is 1000-3000 pieces based on different items..Yes, we supply free samples, but sample + express shipping fees are charged in advance. This is to make sure the samples are evaluated seriously.We will issue sample invoice to you, and it will be 100% credited back to you when you order our MOQ. 3.What is the payment items? For samples: please pay by PayPal, WeChat, etc. A: For sample within 1-7 working days. 5. If I have an idea for a new product, can I do OEM or ODM ?R: Our service includes Design, Developing, Molding, Production and shipping.So welcome OEM and ODM orders. The best price depends on your order quantity and related mold charges. 6. Do you have inspection procedures? R: Yes, each product is individually tested along our production lines is 100% by QC staff; our QC manager along with the sales manager will spot-check it again before delivery. 7. Do you have the certificate for all the products? 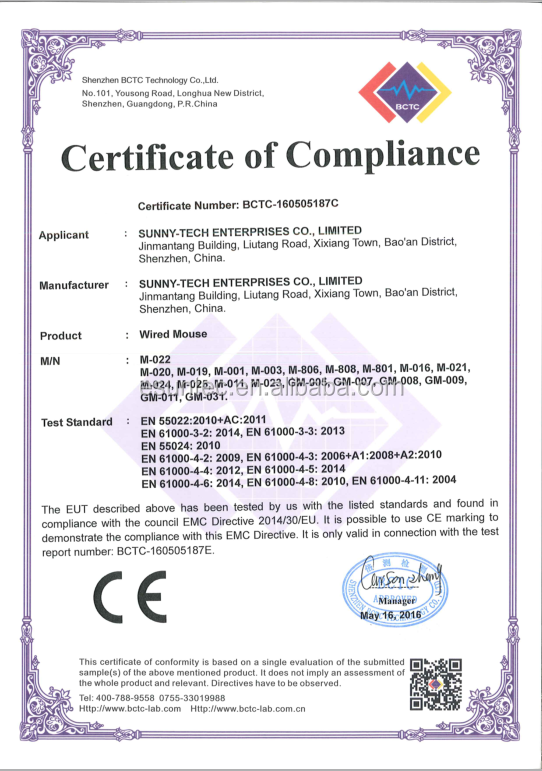 R: Yes, all of our products have the CE, FCC, RoHS certificates. 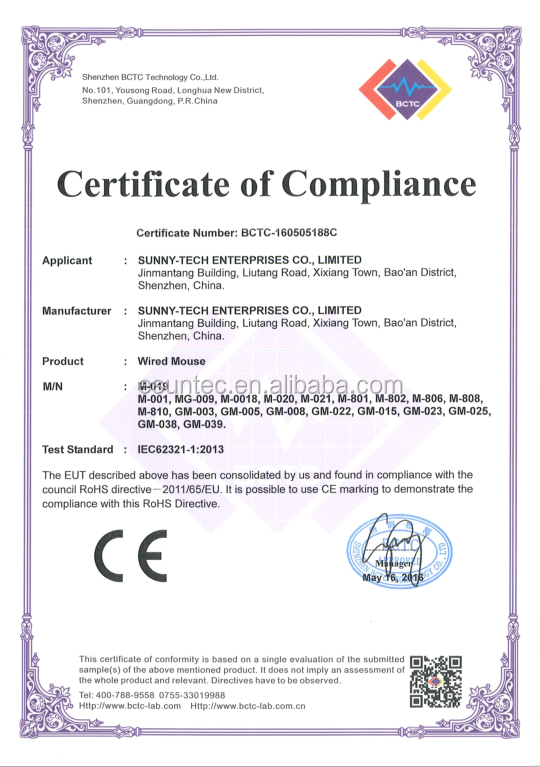 SUNNY-TECH ENTERPRISES CO., LIMITED was established 2003 under the brand ESUNTEC. As a leading manufacturer & exporter for PC peripherals, such as keyboards, mice, speakers, power supplies and other, our company has gained a good reputation with customers all over the world.